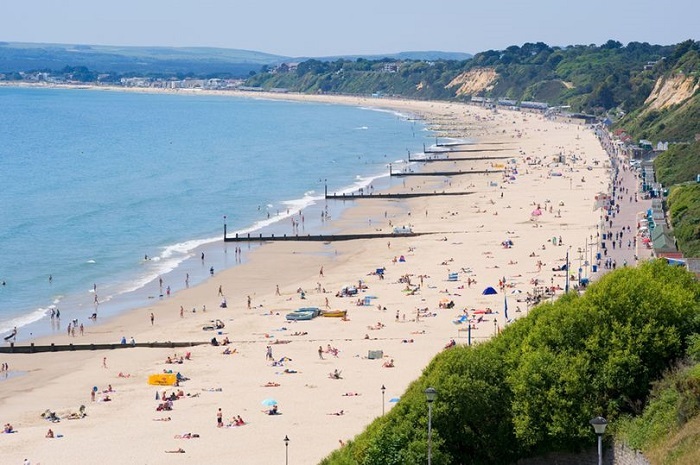 Bournemouth Beach has been named the UK's best beach for 2019. The popular seaside spot topped the list in the 2019 Trip Advisor's Travellers' Choice Awards for beaches, thanks to its golden sands, swim-friendly waters and of course bustling Bournemouth itself. But it's not just popular with Brits. Travellers rated the beach as the sixth best in Europe, and it even made the top 20 in the awards' global rankings. It's not surprising when you consider that Bournemouth Beach offers up seven miles of golden, fine sands, with blue flag beaches that are ideal for families who flock there during the summer months. Meanwhile, thrill-seekers can get their fill thanks to the wealth of activities on offer including paddle boarding, surfing, jet-skiing, kayaking and even the world's only pier-to-shore zip line. Oh, and of course there are the iconic colourful beach huts which line the seafront. Chris Saunders, Head of Operations in Tourism Services for Bournemouth, said: "This award is testament to the hard work, dedication and resilience of our Seafront Team. "As well as the slick running of our Tourist Information Centre, the beaches are raked and cleaned daily to the highest standard and rangers work in and out of season to ensure the safety and comfort of visitors.